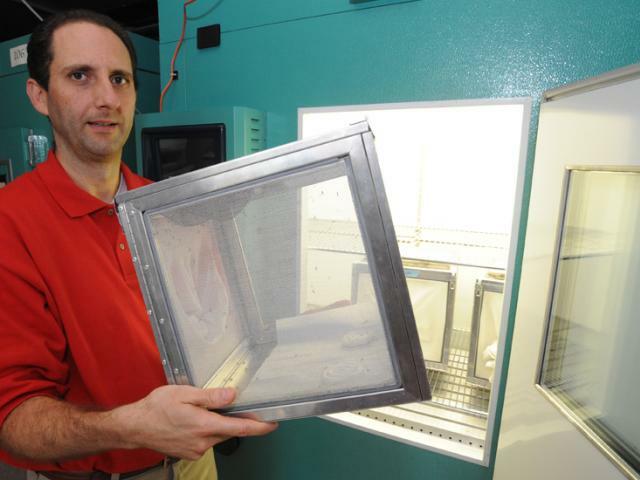 OARDC scientist Peter Piermarini is an expert on the mosquitoes that spread Zika virus. An assistant professor in the Department of Entomology, his research interests include developing new ways to control disease-causing mosquitoes such as Aedes aegypti, which is Zika’s main carrier. A story on one of those ways is at go.osu.edu/BPp3. While other Aedes species do live in Ohio, he said their ability to spread Zika isn’t well understood, and that it’s unlikely they’d bring the virus into the state. 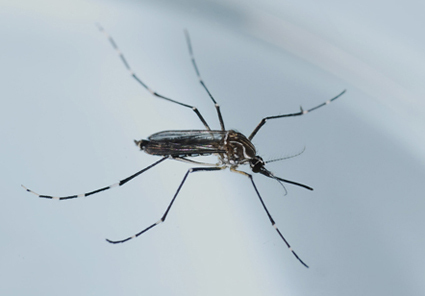 An Aedes aegypti mosquito, the species that is Zika’s main carrier. Among those diseases: West Nile virus and La Crosse virus (averaging, respectively, 40 and 25 Ohio cases a year in recent years). See www.odh.ohio.gov/mosquitoes for tips. Zika virus is now present throughout Latin America. So far, officials say nearly 200 cases have been reported in the U.S. All were infected while traveling abroad or were sexually infected by their partner who had traveled. In Brazil, Zika virus has been linked to cases of Guillain-Barre syndrome, poor pregnancy outcomes and pregnant women giving birth to babies with birth defects, according to the U.S. Centers for Disease Control and Prevention. Ohio State has issued recommendations to faculty, staff and students traveling to Zika-infected countries. Read them at osu.edu/zikainfo. To contact the scientist: Peter Piermarini at piermarini.1@osu.edu.